1. 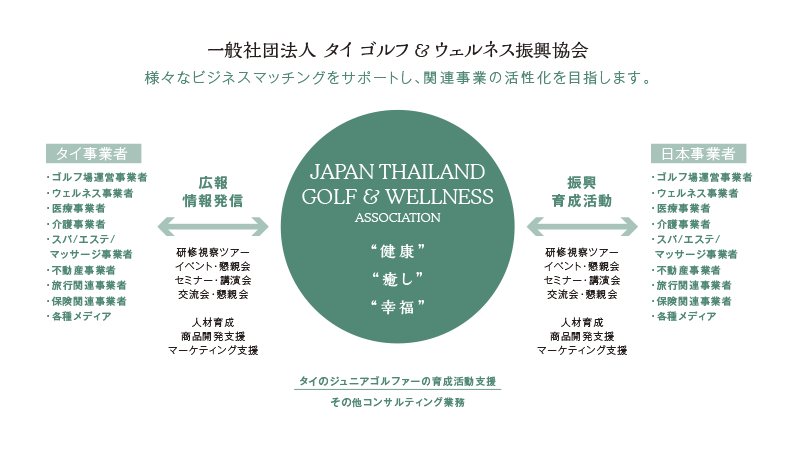 Provide information and implement PR activities on golf and wellness facilities as well as daily living information in Thailand. 2. Organize networking events, seminars, lecture meetings, and training tours related to golf and wellness in Thailand. 3. 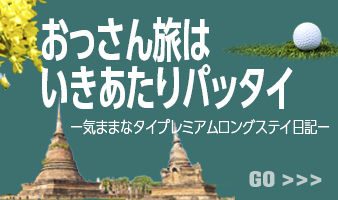 Organize and/or support organizing events related to golf and wellness in Thailand. 4. Foster human resources for golf and wellness related businesses. 5. Develop products related to and assist marketing of golf and wellness. 6. Support developing junior golf players in Thailand. 7. Conduct consultations to various enterprises, groups and individuals. 8. Undertake other activities needed to achieve the purpose of the commitments stated above.